Porch Potty’s grass litter box comes with the option for both synthetic grass and real grass for you to choose from. But what advantages does real grass have? Is it better than synthetic? Or do each of them have their own unique characteristics that your pup can enjoy? To start, we all know that synthetic grass won’t wilt and die. It promises long life and durability because of this, but Porch Potty’s option of real grass sod is a fairly unique solution to this problem. Rather than rely on dirt based sod, they utilize a different form of nutrition for their real grass. This also means that there aren’t any dirt clods that will fall out when it comes to cleaning time. The natural grass mat simply pulls out just the same, allowing you to get down into the base if you need to. There aren’t any dirt clods to fall down into the base and clog up the maintenance system either. Because natural grass will eventually succumb to the natural cycle of life, you will eventually have to replace it. 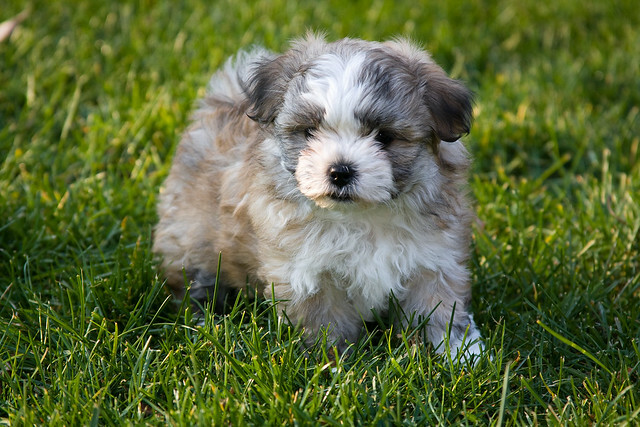 Three to four weeks of life is required for potty training pups, which is what Porch Potty provides with the natural grass mats. But, with proper maintenance, particularly the self-maintaining system that the unit is available with, natural grass can last up to six months. The nice thing is that even if you choose to go with synthetic, you can still use natural grass if you want to, whenever you want to. You can keep a synthetic grass mat when it comes time to order new patches of grass so that you’re pup can continue to use their indoor plumbing. If you’re considering the natural grass option for your Porch Potty, it is undoubtedly one of the best real grass solutions on the market. It offers long life with proper care, and is still neat and clean enough to prevent any extra mess you might encounter when it comes time to change it out. Your pup can enjoy the feel of the outdoors without bringing the mess inside.